I was more of a DIY kind of chick in high school – think dyed hair and vintage clothing – but I still definitely fell under the prom dress spell when the time came. I guess no matter how artsy or punk rock you think you are, the pull of the prom is just too much. So even though the dresses on Bluegala probably aren’t the ones I would have lusted over at age 15, I totally get it. Most girls want to look red-carpet gorgeous at some point in their lives. For some girls that means rocking a mean suit, but I’d say the majority are probably looking to buy a gorgeous gown for prom. Additionally, Bluegala has dresses for all kinds of formal occasions, ranging from mother of the bride to bat mitzvah. Founder Josh Weiss took some time to chat with KillerStartups about what makes Bluegala so awesome, why he loves being an entrepreneur, and what keeps him motivated. Check it. I’ve been an entrepreneur since I was around 15 years old. I went to Yankee Stadium and received an Andy Pettitte bobble head doll as a give away and decided to put it on eBay. It sold for $100. The next bobble head giveaway I brought one of my friends and we bought 50 of the dolls off of people in the stadium for $10 each and sold them on eBay for an average price of $50 each. After that I was hooked. 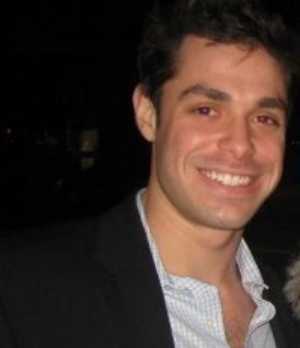 After I graduated college in 2007 I accepted a job as a high yield credit research analyst at Lehman Brothers. In September 2008, Lehman went bankrupt and I lost my job. I was looking for other jobs and considering going to business school while my sister was looking for a prom dress. 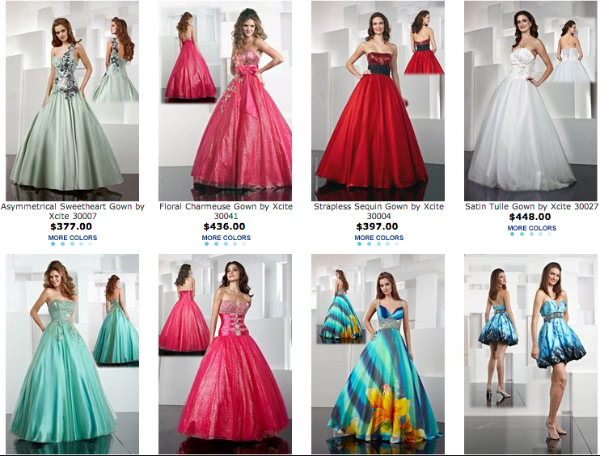 I noticed that the website she was looking at had a very outdated feel and I looked further into the websites selling prom dresses. I quickly noticed that there were only a few legitimate sites and there was an opportunity there. We take customer service to the next level in a way that our competitors do not. Our product specialists will help girls find their dream prom dress and we will not stop until our customers are 100% satisfied. When we receive a glowing email from a mother telling us how happy she is with the dress she bought for her daughter and how beautiful she looked at her prom, that is all the motivation we need. I would probably be a trader on the NYSE. Take risks when you are young since it will be a lot more difficult to take a risk when you have kids and a family to support. The biggest surprise was how quickly more and more competitors would pop up. It’s a constant challenge to stay one step ahead of the competition and to adapt to the new trends. By going to the gym and lifting the heaviest thing I can find. After that i regroup and try to solve the problem at hand. Google Analytics – nothing gives us greater insight into our business and what changes we can make to increase sales. Google Keyword Tool – this is a great tool for us to find new keywords to target in our SEM campaigns. Live Person – provides an invaluable service allowing us to provide live chat on our site. customers love it and we’ve seen a significant increase in conversion rate with users who chat with one of our agents. As cliche as this answer is, I would travel the world. I schedule things in my life that I want to do and I make sure to get done what I need to get done so that I don’t miss my engagements. Matthew Lawrence. “Sky Is the Limit” by Lil Wayne. Fantastic question. It’s hard to name just one, but if I was forced to choose, it’d have to be The Wire. Being an entrepreneur has given me an enhanced sense of accomplishment and pride in my work that I never had working for a big corporation. NYC has a pretty thriving tech scene. A bunch of my close friends are entrepreneurs as well so I am constantly meeting new people who have founded interesting companies. Facebook, Twitter, Blog, or LinkedIn.